I never really understood why broccoli gets such a bad rap. Of all of the vegetables out there, there are at least three others that are far worse than broccoli: beets (which are so popular right now it’s really a bit ridiculous – please stop roasting them and trying to serve them to me with goat cheese), large gourds of Asian provenance (be careful when googling Asian gourds) and fennel. 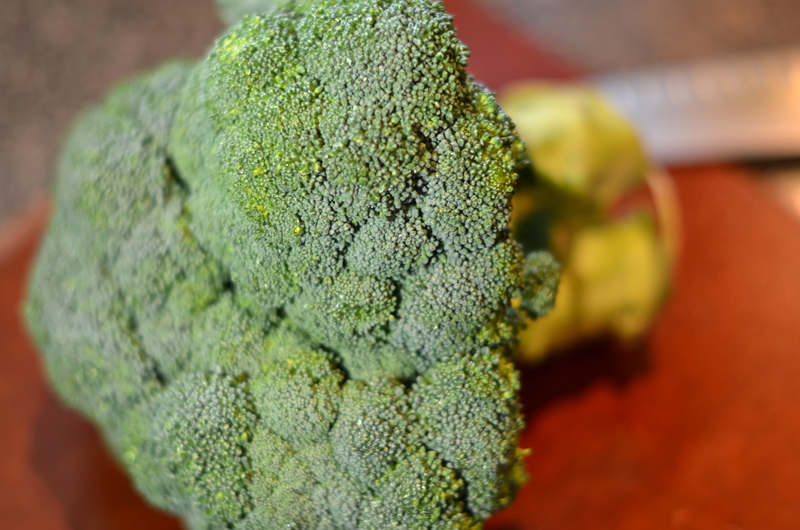 Broccoli was a staple growing up and has retained staple-status in our household. I still steam it every once in a while – especially if I’m going to stir it into some macaroni and cheese. I have been known to swing by the Whole Foods salad bar on occasion to build a quick snack of broccoli florets, blue cheese, Italian dressing and some of those fried tortilla strips they put at the end of the bar. Those strips are even better than broccoli but I’d be too embarrassed to just buy those with cheese and dressing. 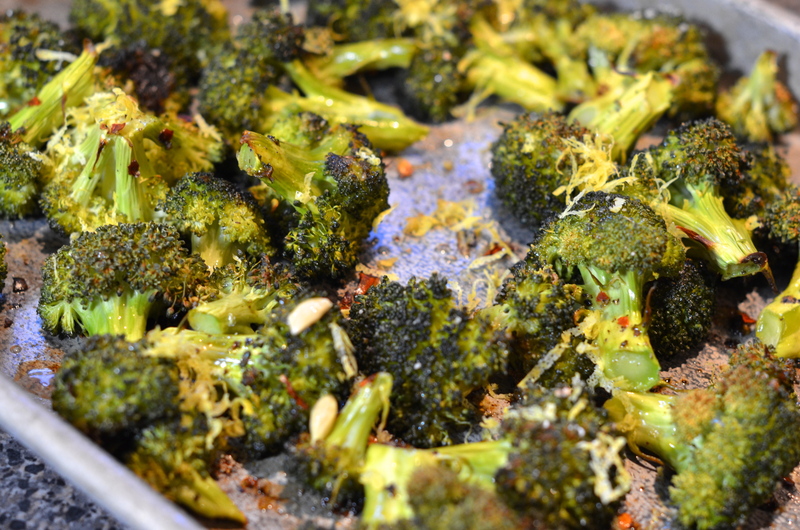 These days, I like my broccoli roasted. It’s easy, your kitchen doesn’t stink as much and you can tweak it at the end if you feel so inclined. I usually don’t add the feta and lemon to the broccoli but tonight we were having lamb and what was supposed to be couscous but ended up being brown rice pilaf because I didn’t actually have any couscous but wasn’t aware of that until I had gotten in too deep . 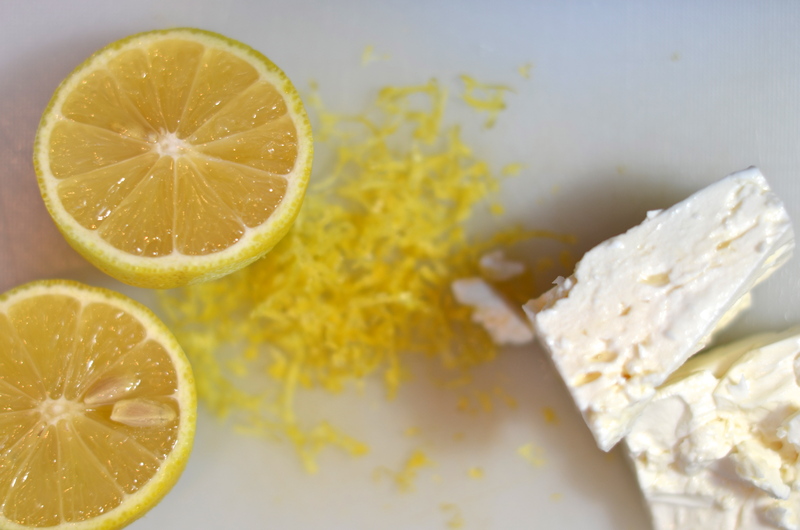 Point being, I thought that we ought to punch things up with the tangy lemon and salty feta and so I did. Start by photographing your broccoli. Good. Now make florets. I don’t like the stems. People will tell you that you should eat them. I think they make terrific compost. Preheat your oven to 425°F and grab a small sheet pan. Drizzle a bit of olive oil on the bottom and use one of the florets like a paint brush to spread it around so nothing sticks. 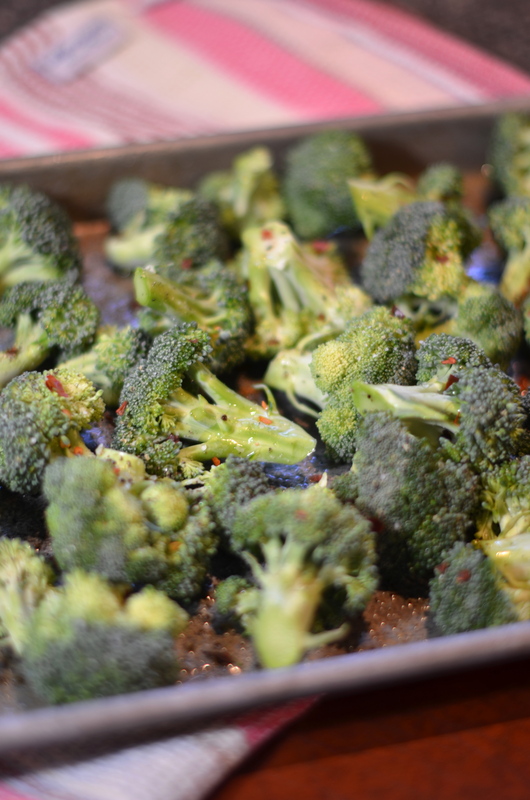 Now plop your broccoli right on top and drizzle with a bit more olive oil and the salt and peppers. 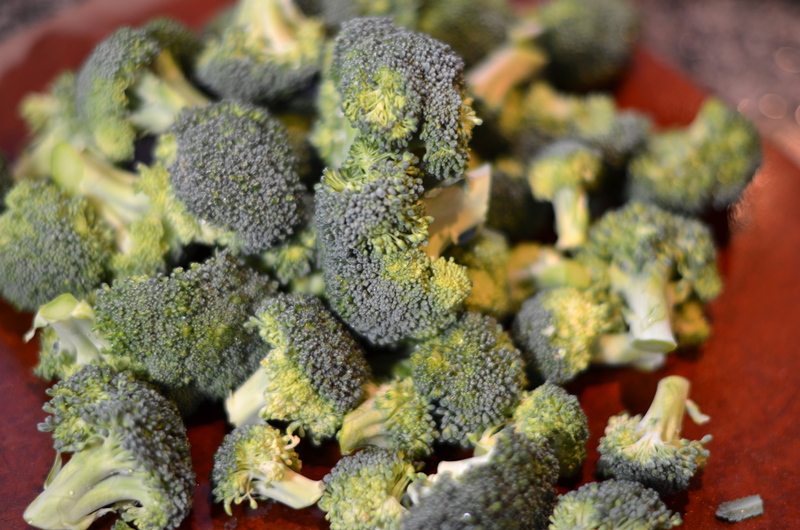 Stick the broccoli in the preheated oven and cook for 20 minutes. While that’s happening, zest the lemon and cut it in two. Prep your feta (by removing it from its package and nibbling on it). Nibble. After 20 minutes, the broccoli should have softened without becoming mushy and also developed some nice color around the edges. 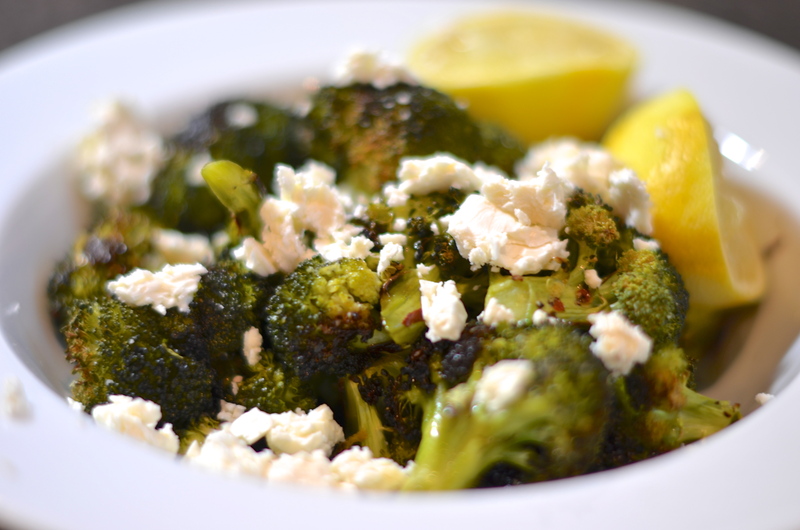 Sprinkle the lemon zest over the hot broccoli and squeeze as much lemon juice as you’re feeling at the time. Transfer to a serving bowl and top with feta.